According to the Association for Pet Obesity Prevention, in 2018 it was estimated 60% of cats and 56% of dogs in the United States were overweight or obese. Yikes! All that extra weight is a big deal, as too much extra weight can shorten the life span of your pet. Just like in humans, overweight pets can suffer from a wide range of conditions ranging from heart disease to joint disease to diabetes. You may have heard our veterinarians remark in the past about how overweight your pet may be. Sure, 1 pound overweight for a cat doesn’t seem like a lot. To put things in perspective, 1 pound overweight for a cat is equivalent to 15 – 17 pounds for the average human adult! In fact, to get a good idea just how overweight your pet is, click here for a pet to human weight translator. We know it’s hard to get pets to lose weight. It’s already hard enough for us humans to stick to New Year’s resolutions and lose weight ourselves! Most of our pets don’t want to exercise, especially cats. Limiting calories can be challenging when they give you those puppy dog eyes of sorrow, or wake you up at 5 am begging to be fed. That’s why we’ve teamed up with our friends at Royal Canin to help make your pet’s weight loss journey a fun and achievable goal. We recommend Royal Canin’s Satiety Support diet. 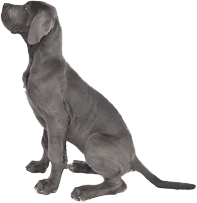 Founded by a veterinarian, Royal Canin has over 40 years experience in pet health nutrition. This diet is designed to help keep your pet satisfied and full for a long time after eating thanks to three major components. – High in fiber. This lowers their chance of overeating and putting on more weight. Dogs on this diet reduced begging by 83% during their weight loss period. – Low in calories. This will help your pet lose weight even if they aren’t exercising often. Enriched with extra vitamins and minerals, it is well balanced to provide your pet with all the nutrition they need to be healthy and happy. – High in protein.This not only helps keep your pet satisfied but helps maintain lean muscle during their weight loss regimen. A recent study shows that 97% of pets lose weight within 3 months on this veterinary diet, with a significant reduction after just two weeks. Help make your pet the biggest loser! Starting April 29th 2019, Inwood Animal Clinic will be hosting a Biggest Loser Challenge! Inspired by the television show of the same name, where contestants competed to win a large cash prize by losing the highest percentage of weight. In our version, our contest is open to overweight or obese cats and dogs with a body condition score index of 7 and above and will run for 12 weeks. Pets must be on the Royal Canin satiety support diet and come in monthly for an evaluation and photo session. The top 3 pets with the highest percentage of weight loss will win not only great health but fabulous pet prizes catered to their species. Interested? Fat or fit – your pet’s Body Condition Score. You’ve probably heard of a Body Mass Index, or BMI, used to judge how fit or fat a human is. Since pets come in all sorts of sizes and shapes, in the veterinary field we use a Body Condition Score, or BCS. It is a subjective way to judge a pet’s weight. Body Condition Scores range from 1 to 9, with 1 being too skinny and 9 being grossly overweight. While a Body Condition Score must be evaluated by a veterinarian, where do you think your pet fits? A little treat goes a long way – are you overfeeding your pet? You may think a tiny piece of human food is harmless to your beloved pet. After all, who doesn’t like to spoil and reward our companions when they give us unconditional love? But did you know that a seemingly small treat can actually be a high caloric meal? Below you will find a chart measuring the calorie content of common cat and dog treats, and their human caloric equivalent represented by a number of donuts.